Toastmasters International is a world leader in communication and leadership development. 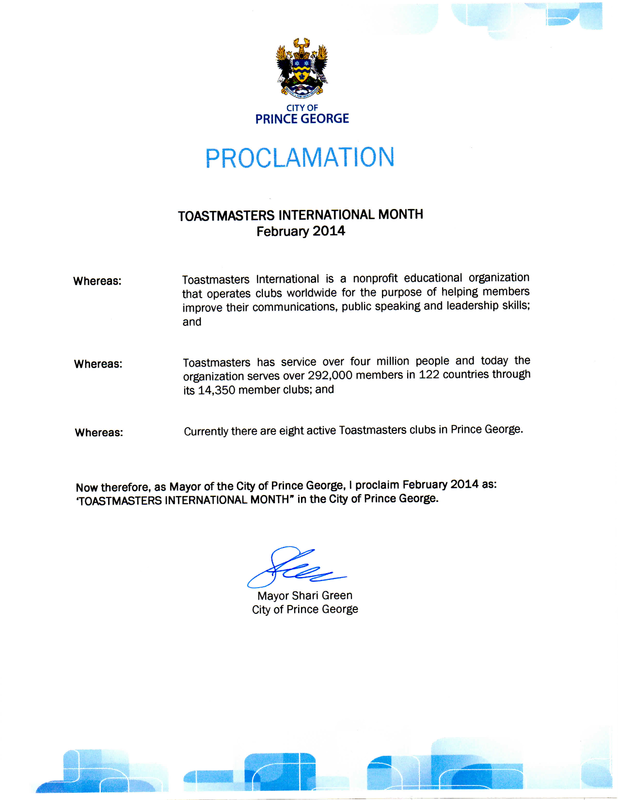 Prince George is proud to be host to six non-profit Toastmasters clubs. A Toastmasters meeting is a learn-by-doing workshop in which participants hone their speaking and leadership skills in a no-pressure environment. Please consider yourself invited to attend a meeting at no cost. We meet at a variety of different times and locations to better accommodate you. You can find details below. Toastmasters members - Club information should reflect the public information available via Toastmasters. If you want to make corrections then please update your information via "Update Club Information" with Toastmasters International. If you have updated your club information and do not see this webpage updated after 48 hours then please email the webmaster Mike Carr directly. The information on this site is for the sole use of Toastmasters' members, for Toastmasters business only. 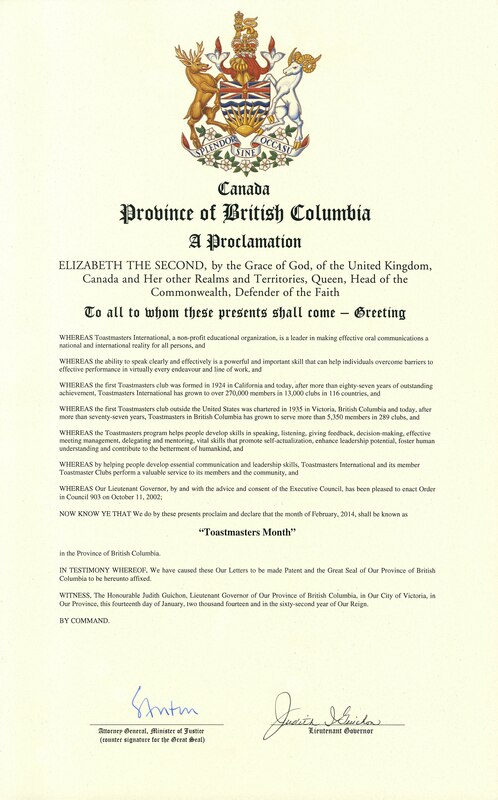 It is not to be used for solicitation and distribution of non-Toastmasters material or information. All rights reserved. Toastmasters International, the Toastmasters International logo and all other Toastmasters International trademarks and copyrights are the sole property of Toastmasters International and may be used only by permission.